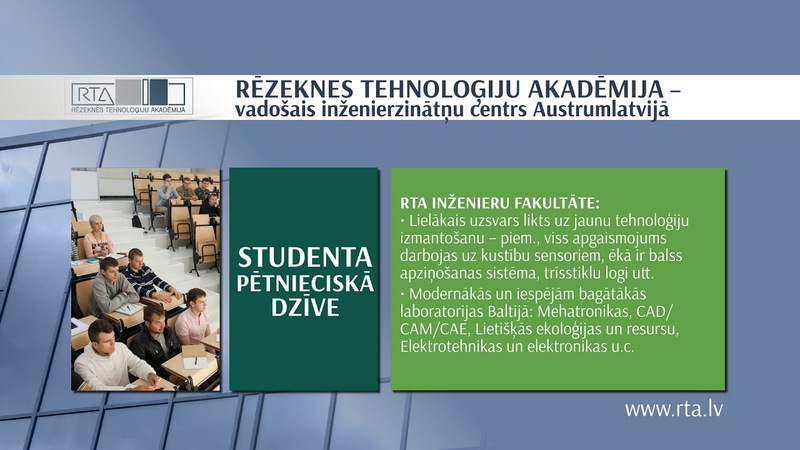 Rezekne Academy of Technologies (RTA) is a state-founded university type higher education institution with unlimited international accreditation located in Rezekne, Latvia. Its roots go back to 1925. During the 2016-2017 academic study year Rezekne Academy of Technologies (RTA) has signed collaboration agreements with two universities of Kazahstan: Al-Farabi Kazakh National University and T. Zhurgenov Kazakh National Academy of Arts. From 27 November to 1 December Rezekne Academy of Technologies (RTA) hosted the opening meeting of the project Enhancement of Lifelong Learning in Belarus: BELL. Within the project representatives of four EU universities will share their knowledge and experience with Belarusian colleagues, thus developing and implementing distance learning as a part of lifelong learning.